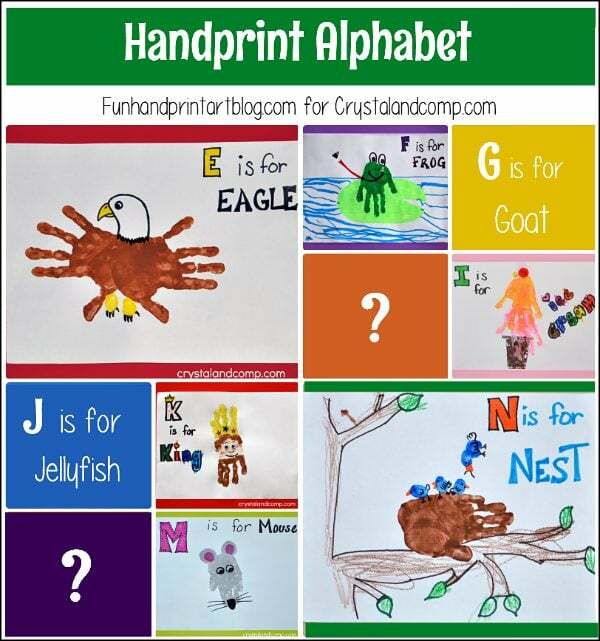 Have you been following our Handprint Alphabet series over on Crystal & Co.? We are already halfway through the alphabet! 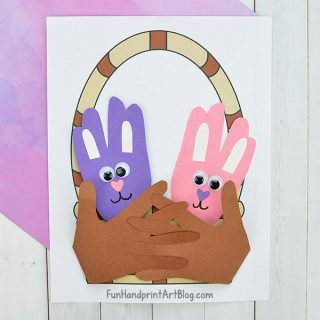 My preschooler loves making handprint art that matches the Letter of the Week series on Crystal & Co.
We don’t want to give all of it away, so head over to the main Hand Print Art for the Alphabet page to see all the ones we have done so far or read them all by browsing the category (the category has all the most recent posts). You can also see letters A, B, C, and D here. Can you guess what Letter L is for? It might be a lion or it might be something sweet. What about Letter H – a house perhaps? Or maybe a horse or something else? 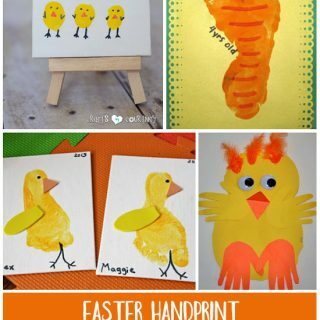 Making handprint alphabet crafts is a great way to incorporate play, creativity, and learning all at once. We love hands-on learning and feel it’s the best way for preschoolers to learn in a setting that’s suitable for their age. We can’t wait to see the whole series when it’s finished! Head over to see tomorrow’s post, P is for Penguin.